What do you do for a living? Do you imagine doing the same thing for the next 50 or 60 years? That is a great dream, if you love what you do, but you have to realize that perhaps in half a century, there will no longer be a need for people like you. That is a sad fact. In fact, that has happened or slowly happening to the following jobs. What did the Rag and Bone Man do? This is basically someone who collects junk from your house and loads them on his carriage or lorry. If you’re thinking garbage collector, you’re wrong. The Rag and Bone Man collected mainly rags, bones, scrap iron, and other items that could be recycled into other things. They would trade these for other items that may or may not be useful to you. Today, the Rag and Bone Man is a profession that vanished due to the traffic they caused, the presence of garbage collectors, and more organized recycling system of towns or cities. During the early part of the 20th century, there were no wide highways in your country. But how did people move logs? How were logs transported for the construction of houses and buildings? This is where the log driver and long rivers came in. Log drivers were men who guided the logs down the river to their destination. The job was extremely dangerous, requiring the log drivers to stand on the moving logs and to hop from one log to another. They had to avoid what were called “logjams” often so that the logs can reach the sawmills when needed. One job hazard that they had to deal with every day was getting crushed by the logs. Imagine setting bowling pins on the head of the lane while the bowlers at the other end wait for their turn. They have fun while you are doing your tedious job — replacing the pins, resetting them to their correct position, clearing them when they have fallen, and returning the bowling balls to the player. Imagine doing this all night and getting a very low pay at that. Due to the mechanization of bowling alleys, the pinsetter is no longer a job you can apply for. As the name suggest, this was a person who lit street lamps. You may only remember a world where your streets were lined with electric lights but before electricity became prevalent, gas lamps and candles were used. The lamplighter had to manually lit up the lamps or candles so that residents of his town can see their way at night. Come dawn, the tireless lamplighter will go down the streets again to turn off or blow the lights he lit up. Now there may still be ice delivery men today but these are the industrial types needed for keeping fish and other perishables in wet markets or restaurants fresh. The ice delivery man we are referring to here is someone who delivered ice to homeowners, to people who were not selling fish or operating a restaurant. These men were popular before refrigeration. They would load pieces of ice to their carriage and then delivered them to houses before the afternoon sun melted their merchandise. Up until three decades ago, switchboard operators were important players in the telecommunications industry. In fact, they were the people who made use of the telephone smoother. They were needed to make long distance calls and to manage busy circuits. But with the advent of digitized telecommunications, switchboard operators had to find new jobs. These days, making long distance calls can be done on your mobile phone. There is call waiting when lines are busy. It is possible that there are teenagers or people in their 20s today who do not know what a telegraph is or how it works. This is strange considering how telegraph operators have helped in shaping the world that we have now. Using Morse Code, these people were integral in sending messages between platoons and allied forces during the first and second world war. But with the prevalent use of telephones and digital communications, it is no longer possible to imagine a world were telegraph operators would be needed again. A breaker boy was someone who would sort coal and break them into smaller pieces. As the term suggests, these were underaged laborers who were probably not paid a lot. 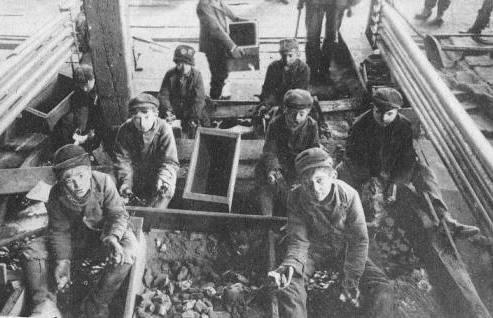 These boys didn’t go into the mines but their working conditions were no less dangerous. They put strain on their backs every day to sort debris from the coal. No doubt they also inhaled fumes that most likely hindered their growth. Thankfully, Child Labor Laws and more mechanized mining contributed to the extinction of this profession. 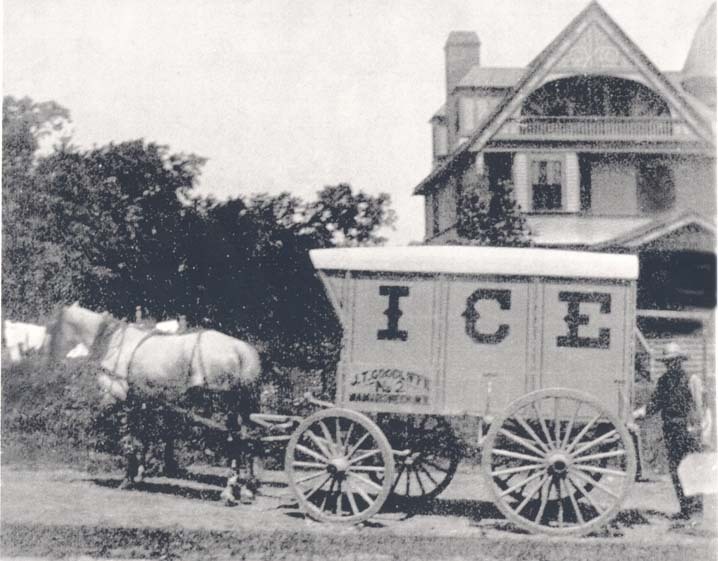 As mentioned above, the ice delivery man was needed before refrigeration became prevalent. But before this invention took off or became cheaper, where did the delivery men get their ice? That is where the ice cutter comes in. These were men who cut the ice from frozen lakes. Once cut up, they will then transfer their product to the ice delivery men. These ice cutters worked in extreme conditions, as we you can imagine. Most of them were probably happy when more and more people started using the refrigerator for keeping their food safe. Sounds magical or Gothic, doesn’t it? In reality, there was nothing magical about this job. Also known as body snatchers, these were people who provided medical schools with dead bodies. Sounds like a noble job with the intention of helping a field of science advance but really, what they did was stole corpses from graves. Because of this, some people got smart and decided to bury their dearly departed in tombs. This job altogether vanished when a certain body snatcher decided to kill people for the profit instead of just stealing bodies from graves.